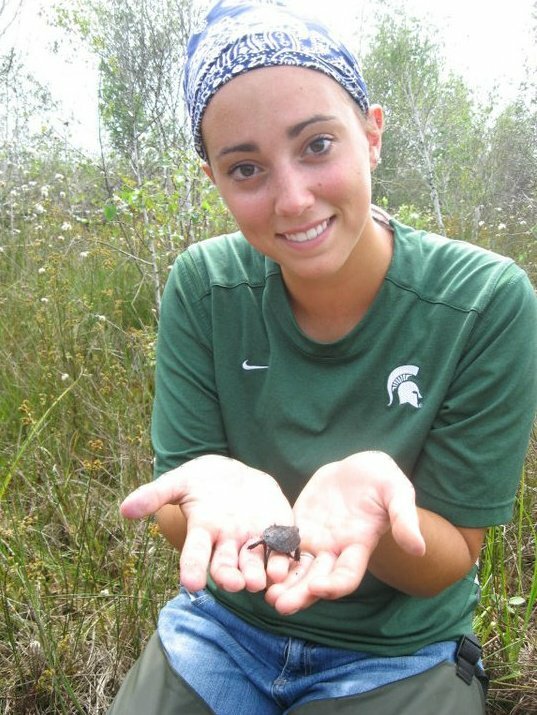 My background in natural resource management has afforded me many opportunities to explore various fields of study, including pathology, forestry, and fisheries and wildlife management. However, my experience with species at risk (Sistrurus catenatus, Clemmys guttata, Anaxyrus fowlerii)hasfounded my research interests in the ecology and conservation of amphibians and reptiles. My masters’ research will aim to validate the use of eDNA (environmental DNA) for amphibians in Central Ontario. In recent years, eDNA has proven to be an effective and efficient method in establishing the presence or absence of invasive and secretive species. However, current survey methods to assess population densities can be costly, destructive and invasive. Using Lithobates pipiens as a model species, I will explore the use of eDNA technology as a tool to estimate population density in both mesocosms and naturally occurring habitats.